or buildings overall protection system. can save lives in the event that a house or building catches fire. build up as furniture and structural materials begin to burn. of a burning building especially if a fire breaks out during the night when people are sleeping. on the market that a home or business owner can choose from. Here is some information that may be able to help you pick the model that is right for you. Many people think that monitoring for fires or smoke alone is enough to keep them safe in their homes. This is not the case. Carbon monoxide gas is a colorless, odorless gas that builds up when fossil fuels are burned. It replaces oxygen in the blood stream. If it builds up in high enough quantities, it can be deadly. If you have a gas fireplace or gas furnace in your home it is important that you monitor for a carbon monoxide build-up as well as smoke. Battery powered or wired in? You may also need to decide whether you want to hard wire a smoke detector or fire alarm into your home or whether you want to stick with a battery powered model. A hard-wired model is often a great idea if you have someone that can install it properly. These units often still utilize a battery that functions as a back-up power source in the event that you lose power in your home. For larger buildings you will have building regulations that will require a system to be hardwired into the building. What kind of building is being monitored? 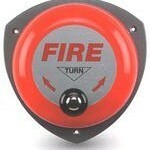 The type of building that the fire alarm will be placed in can influence which kind of alarm is most suitable. A manual alarm is one that needs to be tripped by hand. 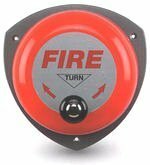 This may cause an audible signal such as a bell to ring and alerts individuals that a fire is present. There are also monitoring alarms that send a signal to a monitoring company. They will then notify the fire department that there is a fire taking place. If you are protecting a larger residential or commercial building, alarms that sound an audible signal are also important. Residents need to know that there is a fire in progress. These should be placed on every level of a building. It is especially important to place fire alarms outside of sleeping areas so that residents can be alerted if a fire breaks out during the night. and certified installer or alarm installation business.